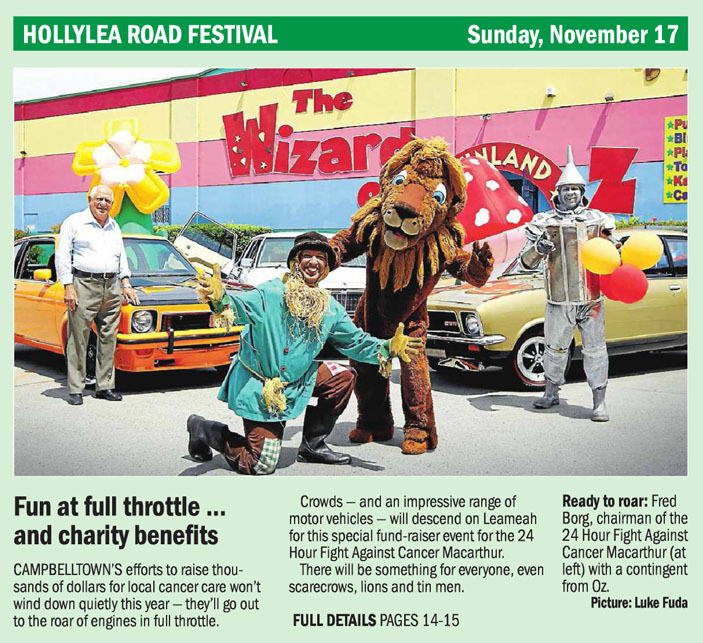 In this week’s Macarthur Advertiser (13-11-2013)…. Getting ready for the Hollylea Road Festival on Sunday. All proceeds to the 24Hour Fight Against Cancer Macarthur.